The Tudor Rose is, in fact, a pleasant pub situated very close to some of the most bustling areas of London. 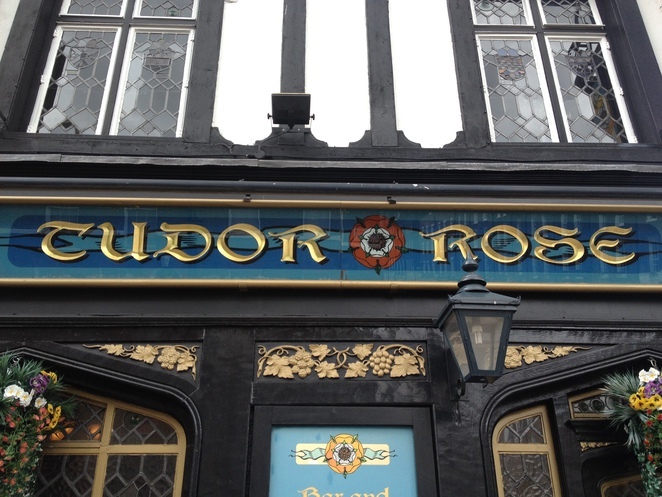 It has a very attractive Tudor exterior (of the type people normally associate with Shakespearian buildings - white walls with black woodwork), though inside it is more like a traditional British pub. The attraction of this place surely must be its location - close to a lot of the major areas, yet at a point between them which makes it a quiet haven from the hustle and bustle of the streets around it (which include Oxford Street and Baker Street). It offers all the standard pints you may expect, with a couple of hand-pulls for good measure - but this isn't important - it is the feeling you can sit down and take a load off your legs, safe in the knowledge that should you wish to rejoin the rat race, you are a matter of only minutes away from it - though you probably won't feel like it in your current clam and tranquil surroundings. 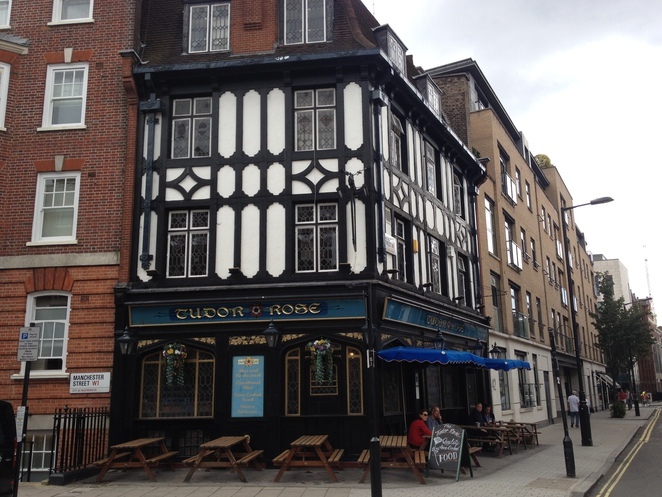 Just looking at the pub gives you the idea that it seems a little bit out of time with the rest of the buildings, like a little piece of history existing within an increasingly more modern area - but long may it continue.